In a conversation with CinnamonTeal, the author spoke about his book and his expectations from those who read it. CinnamonTeal: What inspired you to write your first book? Vaachakmitra: I have been an avid reader of English literature. I found out that these writers had developed insights into human nature through their writings. I also found fiction writing as an analytical tool. I write because it gives me an understanding about my own subconscious mind. CinnamonTeal: After this first-hand experience, would you want to write again? Vaachakmitra: I have found strange solace in fiction writing. I would definitely continue writing fiction. In fact , I am writing my second novel. I am already writing blogs on my experience in writing my second novel. CinnamonTeal: Is your book based on a real-life inspiration or is it completely insightful? 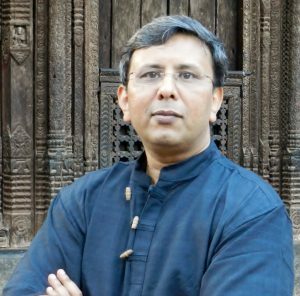 Vaachakmitra: I think writing a novel is confluence of reality and imagination. For the first time novelist , the reality consists of his personal life and imagination consists of his interpretation of this reality. Maybe , in my second novel , there will be less of myself and more of mankind. CinnamonTeal: Did you face any criticism while in the process of writing your book? Vaachakmitra: I was brought up by my parents who dotted on me. My father was a serious student of avant garde literature. So criticism is something I have never faced. Now my family appreciates my communication skills. CinnamonTeal: What kind of readers do you wish to aim at? The youth or a much older crowd? Vaachakmitra: It is difficult to pin point my intended audience. On one hand the period of my novel and the sensibility of the protagonist are that of person who would be in fifties and sixties. On the other hand , Indian ethos are meant for all age groups. Finally , this is a sincere tribute to masters who have shaped my literary sensibility. I think all these three groups would enjoy my novel. CinnamonTeal: What do you wish the readers to take away from this novel, at least thematically? Vaachakmitra: Frankly speaking , I am not in favor of inspirational writings. A genuine fiction , like life itself , demands seriousness. If anyone can read through this novel ,I am sure , she/ he would try to introspect her / his life. The readers would find that everyone’s life can be interpreted in more than one way. The core , the philosophical core , of this novel is that all these interpretations of ones life contain , within themselves , a germ of truth. If my novel helps readers to be aware of these multitudes of interpretations of life , I would consider myself as a good writer. 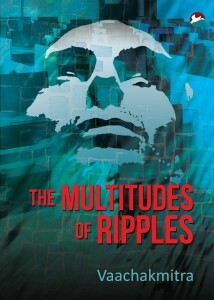 CinnamonTeal: What does the title ‘The Multitudes of Ripples’ signify? Vaachakmitra: I think my previous answer contains the reason why I called it by such a title. I have been asked by someone why the word multitude appears as plural noun. To some purists common noun can be used in plurality. However , I think that not only grammatically, but even semantically, this plurality is correct. When there is more than one multitude, then they can be called multitudes. More importantly , I have used plurality here because I am convinced that such a multitude occurs in each one of us. The plural form refers to that , after reading this novel , every reader would become aware of her/his own multitude. Since the reader’s multitude is triggered by a the protagonist ‘s multitude , plurality of multitudes is correct notation. Finally , I was asked about the use of definite article ‘The’ in the title. I think that definite article refers to the fact that beneath these multitudes of interpretations, there lies a unitary life. There could be many interpretations of life but life is singular. In some sense we, as individuals, are different but life that runs through our consciousness is one. The definite article ‘The’ refers to singularity that unites all of us. CinnamonTeal: What kind of books do you personally like to read? Did they influence your thought process for this book? Vaachakmitra: I was a voracious reader in my younger days. About , twenty five years ago , I decided to become a writer. At that point of time , I decided to stop reading fiction because I did not want to imitate my favorite writers. After such a time lag , I think details are forgotten but the sensibility has remained. My favorite writers were many. I can name only a few of them. Camus, Sartre, Maugham, O’Neill, Bellow, White, Achebe etc. When I had to read my own novel while editing , I found echoes of all of them in this novel. CinnamonTeal: What advice would you give aspiring writers? Vaachakmitra: All I can say is the novel is lying dormant in your subconscious mind. Just tap your inner self to find that novel. I seriously believe that a fiction writer merely transfers the novel from subconscious mind to the paper. CinnamonTeal: How, if at all, does your process differ from the other authors, when writing a novel? Vaachakmitra: I wish I knew that answer. I am not much into biographies , so I can’t compare my writing process with those of others. However as mentioned in one of my blogs , the novel compels you to give it a birth. Writers are the instruments not owners of the novel. ( unless it concerns the royalty payments!). CinnamonTeal: Any specific reason for choosing the pen name of ‘Vaachakmitra’? Vaachakmitra: I have mentioned in one of my blogs why I chose to write under a pen name. As for this particular pen name , I think I want to emphasize that I was a reader first and then a writer. My empathy is with readers hence this name. CinnamonTeal: In the years to come, will you reveal your true name or would you prefer it being masked from the media’s focus? Vaachakmitra: I am not sure. I have been a private person all my life. I am comfortable with anonymity that a pen name offers. However , I am not sure what future holds. All I can say is ‘ Que Sera Sera’. 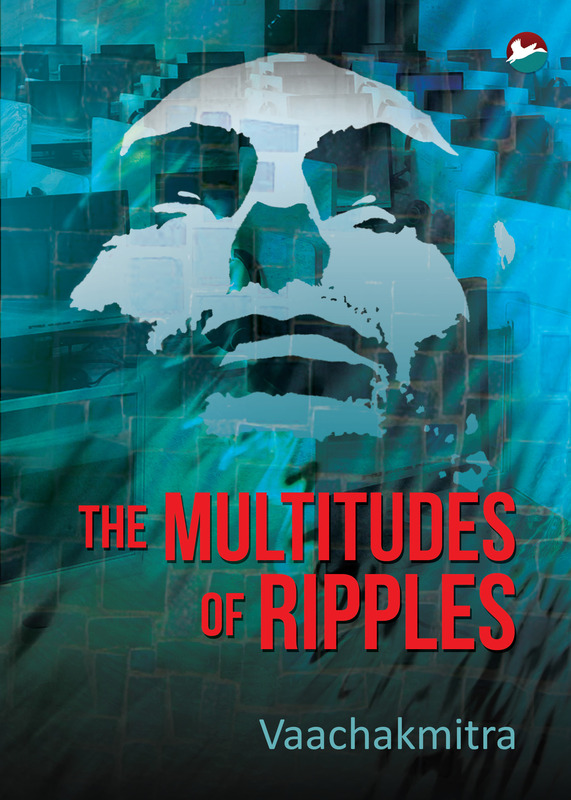 The Multitudes of Ripples, a novel, is a first-person narrative of an entrepreneur who struggles to make sense of his life and demonstrates how optimism incorporates meaningful semantic even in the face of psychopathology. Available on Dogears Etc.. Also available on Infibeam, Amazon.in and Flipkart. Sanjay Kumar Singh went to school at St. Michaels High School, Patna and Bishop Cottons Boys School, Bangalore. He graduated in Economics (Honours) from St. Stephens College, Delhi, and has a Law Degree from Campus Law Centre, Delhi University. He is now a practicing lawyer and lives with his wife Leena, daughter Vaibhavi, fondly called Tiggle, and their pet Labrador named Phantom, in Noida, Uttar Pradesh, India. CinnamonTeal: Tell us about the title. 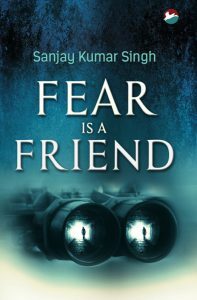 What made you choose “Fear is a Friend” as the title of the book? Sanjay Kumar Singh: Fear is an emotion and emotions have the potential to further agitate the subconscious which itself is stupendously powerful. If fear is embraced as a friend and not treated as an embarrassing companion, it can work with the subconscious to create solutions and provide answers even in extreme situations of risk and turmoil, as happens with Ashwin Bhardwaj, the central character of the book. CinnamonTeal: Share with us your taste for books. How much of your reading influences your writing? And what made you write a thriller? Any favourite authors whose style of writing has influenced you? 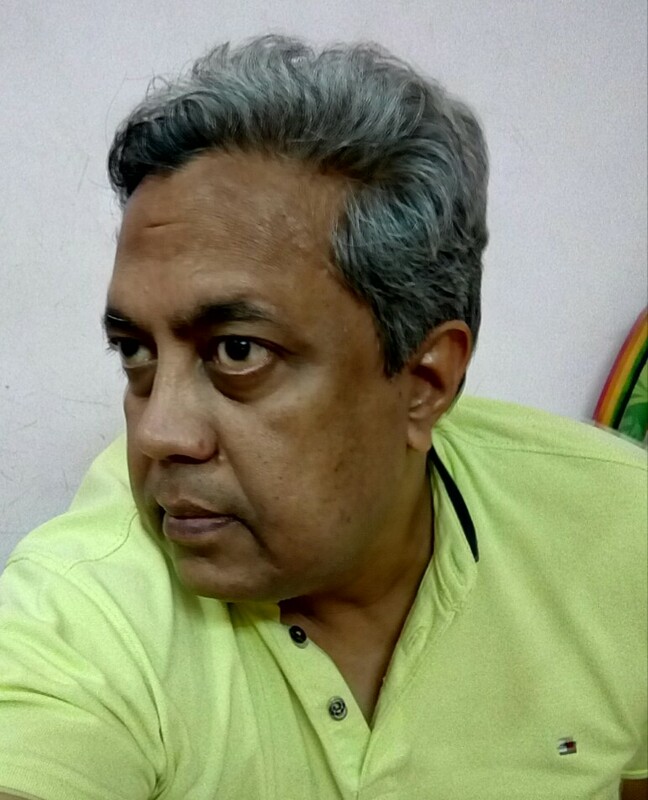 Sanjay Kumar Singh: I like books that are intelligently written, strive to deliver some meaning, even if in between the lines, and do not unnecessarily stretch their content. To that extent, what I like reading does stand as a parameter to improve upon in what I write. I have been reading thrillers from a young age. Of late, particularly, I have been disappointed with the quality of thrillers generally available; for often they consume pages to the point of boredom and often feature far too much brutality. I felt that I could write a thriller without these shortcomings and give it ingredients that would make the book not only far more engaging and entertaining but also leave the reader with positive feelings and images in his mind. While I do have some favourite authors, I do not think my writing style has been influenced by any of them. CinnamonTeal: Let us in a bit on your other tastes. Like your taste for poetry that reflects in your writing. What is it about poetry that fascinates you? Sanjay Kumar Singh: So far as tastes are concerned, at this point in my life, I find that my tastes or attention are largely devoted to the deeper meanings of life and after-life. Poetry can link with the subconscious in a much more expressive and powerful mode that does incite my interest and my attempt to bring out the same. I have a published book of poems titled “Mascara on Whiskey Nights and Other Poems” and my next work, just completed, is a novel written in poetry and has some contemporary pressing issues as its theme and setting. CinnamonTeal: Explain to us how you went about researching for your book? Share with us any advice you may have. Sanjay Kumar Singh: I have had, I daresay, a wide reading base, including that related to current affairs and issues which helped me in reducing the research I actually had to carry out for the book. I would advise one to take time in conceiving the plot of the book. This at times can be quite demanding and even painful, but is well worth the intensity of the effort put in. Then, to express the plot in a manner that is comfortable both to the writing style of the writer as also to the reader. And, of course, I feel that one should avoid incorporating features or aspects in one’s book about which one doesn’t know much. CinnamonTeal: Will there be a sequel to the book? Will Ashwin Bhardwaj ever quit? 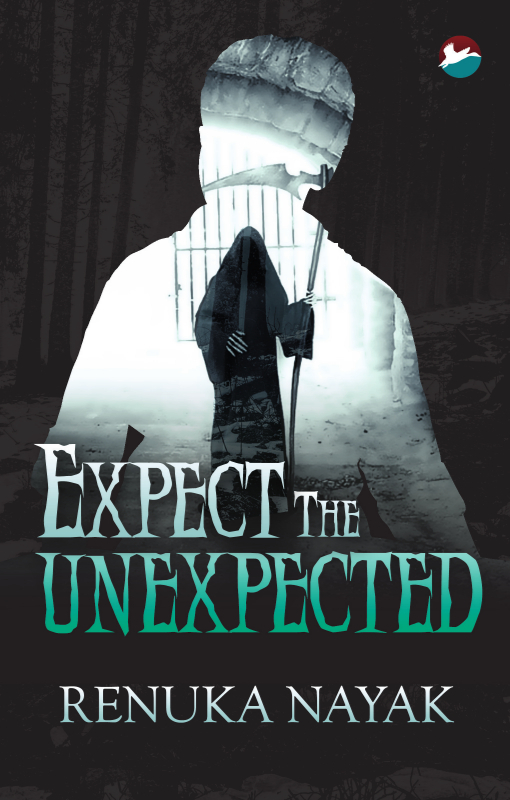 Sanjay Kumar Singh: Yes, there would be a sequel to the book for, yes indeed, Ashwin Bhardwaj does indeed doesn’t look like as if he would quit! CinnamonTeal: Describe for us your emotions as you began to write your first novel? Was there trepidation? A sense of excitement? A fear of the unknown, perhaps? 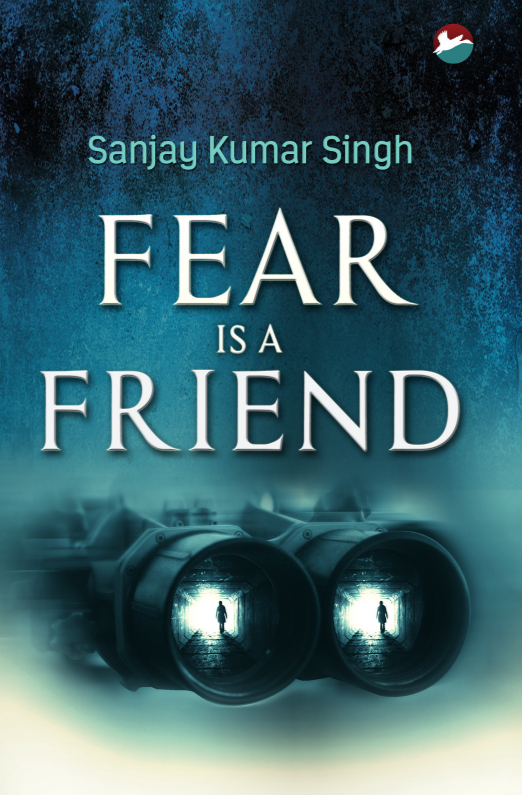 Sanjay Kumar Singh: Of course, there were tremors of trepidation and currents of excitement throughout and yes, the feeling that FEAR is indeed a friend! Buy the paperback version on Dogears Etc..
Also available in EPUB, MOBI and PDF formats. Renuka Nayak, was born in Mumbai and spent a good part of her life in Africa and Cambodia. 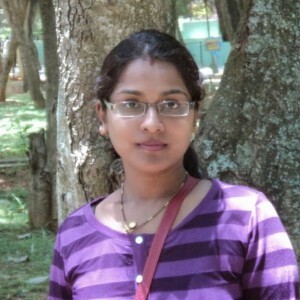 She currently lives in Mangalore. She is a teacher by profession and a mother to two naughty boys who keep her on her toes all day; yet the writer in her makes sure to write a few lines each day. She believes that she was born with a pen in her hand rather than a silver spoon in her mouth. as Paperback and Ebook versions. Leticia Afonso, the author of “Think from the Heart” explains how she came to be where she is in life today. Chidambaram Ramesh is the author of Shroud Of Turin – An Imprint Of The Soul, Apparition Or Quantum Bio-Hologram, recently published by CinnamonTeal.This is the first book on the Shroud of Turin by an Indian author, and proposes for the first time, the Quantum Bio-Holographic idea to explain the shroud image. It also gives re-birth to the forgotten science of palingenesis – the resurrection of spectral images of plants out of ashes. The author has attempted to explain almost all the peculiar characteristics of the Shroud image like photographic negativity, spatial encryption of 3-D data, non-directionality and other amazing aspects. What inspired you to write ‘The Shroud of Turin’ particularly since there are so many books on the subject? What makes it different? Indeed, there are numerous books on the Shroud of Turin. But most of them are documentary in nature, that is, they usually provide a comprehensive list of collected facts or information relating to the Shroud, its documented history, etc. This book is distinct in as much as it attempts to offer valid scientific explanation and a working hypothesis for the formation of mysterious image on the Shroud. There are only very few theories trying to provide explanation to the Shroud image; nonetheless they could not explain all the unique or extraordinary characteristics of the Shroud image. The quantum bio-holographic idea, the central theme of the present book, meets almost all the scientific criteria embarked by earlier scientific studies on the Shroud image. The photonegative characteristic, three-dimensional encryption of bodily depth-relief data, non-directionality, double-superficiality and other amazing aspects of the Shroud image are explained under the tutelage of quantum bio-holographic theory. How did you get interested in the mystery of the Shroud of Turin? In fact, I was initially working on a different, but closely related subject – morphogenetic fields. There are umpteen ideas and theories –both ancient and contemporary – to suggest that morphogenetic development of our body is more “structure-related” than “chemistry-related”. A precise blueprint of the body is always hypothesized to guide the process of bodily development. The raison d’être for my belief is an medieval practice – Palingenesis – which is the resuscitation of spectral plants out of their ashes and a natural magic where spectral 3-dimensional images of snakes/scorpions manifest out of decomposed parts of the corresponding organisms after their physical death. During the course of my scientific pursuit of these ideas, I unexpectedly came across the Shroud mystery. I could observe and discover a close linkage and resemblance between the phenomenon of 3-dimensional image creation in the process of palingenesis and the 3-dimensionally encoded image on the Shroud. I believed the underlying science of these natural phenomena, if explored, can help to unwrap the mystery enshrouding the image on the Turin Shroud. The result is the book before you! How much time did you take to finish the book? As I said earlier, I was initially researching on the ideas of morphogenetic fields. The entire idea is based on the process of palingenesis. So I decided to collect, compare, and analyze almost all the available literature on the subject. This work spanned over about two years and my efforts, I hope, yielded results. I could collect very valuable observations made by many legendaries like Carl Linnaeus, Sir Thomas Brown, Athanasius Kircher, Sir Kenelme Digby etc who were of high repute in Western science and whose views we may still regard with high respect. It is a collection of hard-to-find information. It took about three years to see the book in print. Has the process been easy? Did it ever make you feel hopeless and bleak? It was not easy but interesting and the most enjoyable pursuit for me. In a way, it is like digging for treasure – treasure of knowledge. My coming to know of the observations of persons like Carl Linnaeus that all organisms – plants as well as animals – are capable of manifesting their 3-dimensional geometric structure even after their physical death or decomposition was a wonderful personal feeling and experience. It was never boredom. Can you tell us your one best moment while working on this book, something you’d treasure down memory lane? Yes, it was the moment I had when I saw, for the first time, the Shroud image in 3-dimensional. It was sent to me by Dr.Petrus Soons, a renowned Shroud 3-D researcher and in fact its creator. I was always worrying I write about a thing I have not seen in person. But the 3-D image I received from Dr.Soons relieved me of. Briefly describe to us how you went about conducting research for the book? I have, of course, stood on the shoulders of many ancient and medieval authors. The works are theirs; I have only collected them and tried to bring them into the realm of current science. At the start, my mind was bogged with questions how the decomposed parts of organism can record precise 3-D geometrical structures of the organisms. David Bohm’s concepts of implicate order and holographic universe, Pribram’s idea of ‘holographic brain’, Rubert Sheldrake’s morphic fields etc helped me a lot to arrive at the quantum holographic idea to explain the miraculous 3-D profiles created by organisms after their physical death. Dr.Mitchell’s essays on Quantum Holography, Late Dr.Sue Benford’s article “Empirical Evidence Supporting Macro-Scale quantum holography in non-local effects” supported the idea of quantum holography in more concrete terms. Finnish scientist Dr.Matti Pitkanen was kind enough to explain me the scientific/theoretical basis of quantum bio-holography through personal emails. My academic background in engineering assisted me to grasp these concepts easily. As regards the Shroud research, the findings of Dr.John Jackson, Particle Physicist Dame Piczek, Dr.Petrus Soons, etc made me to confirm that the Shroud image is an imprint of quantum bio-hologram. Originally, my idea was to write a scientific paper on the subject. The multitude of information and ideas that I could collect over the period of time prompted me to make it into a book. Now, I am a stern believer of the quantum holographic idea and indeed, I have enough scientific evidences to support my belief. The subject, if explored further, is certain to offer breathtaking discoveries, especially in the medical field. I have set my mind to work on these ideas further. My next book will be on Clairvoyance (Anjanam-Gazing) and Quantum Holographic Connections. Can you tell us your experience of working with CinnamonTeal Publishing? I must first thank CinnamonTeal Publishing for transforming my dream of publishing a book into a reality in a short span of time. I am very grateful to Ms.Queenie R.Fernandes, Co-founder/director for her patience to carry out all the corrections/improvements I used to suggest time to time. On all fronts, quality of print, cover design etc – I like and recommend CinnamonTeal Publishing. VIKRAM KARVE born in Baramati Pune and educated at IIT Delhi, ITBHU Varanasi and The Lawren ce School Lovedale Ooty, is an electronics and communications engineer by profession, a human resource and training manager by occupation, a teacher by vocation, a creative writer by inclination and a foodie by passion. An avid blogger, he has written a large number of fiction short stories, professional, technical and management articles, self help and philosophical musings and creative non-fiction pieces in magazines and journals for many years before the advent of blogging. Vikram lives in Pune with his family and pet Doberman girl Sherry, with whom he takes long walks thinking creative thoughts. 1. How did the idea for the book come about? I love good food. I love walking. So I love going on long walks exploring, searching for authentic food wherever I go. I got the idea for writing about food while “food-walking” on the streets of Mumbai a few years ago. 2. When do you think you really became passionate about food? Or better yet, when do you think you realized it? I knew I was passionate about food when I realized that most of the time I was thinking about good food – this happened when I was in college. 3. Tell us why readers will enjoy ‘ Appetite for a Stroll‘? Appetite for a Stroll is a unique book of foodie adventures breathtaking in its simplicity which surely has something for you – you’ll discover authentic eateries you’ve never been to before, it’s got recipes you’ve never read before, tips on the art of eating, a delicious journey which you can easily identify with, especially if you are a foodie or a wanderlust person. 4. What’s your favorite recipe from the book? 5. Do you cook yourself? Yes, I love cooking as much as I love eating. 6. What was the first dish that you were really proud of? The first dish I was proud of was CHICKEN DO PIAZA which I improvised during an impromptu dinner for friends who suddenly landed up with a broiler chicken and asked me to cook it for them. 7. What sets you apart from other food writers? I am a genuine simple earthy trencherman, an ardent foodie, who honestly believes in the maxim “There is no love greater than the love of food”. 8. Could you share a favorite recipe? Of course I’d love to share my favorite recipe… It’s called EGGS VODKA and a KISS…a story and a recipe…do read it in Appetite for a Stroll on page 117. 9. Do you have any future writing plans? Yes. I plan to become a full time writer soon. I am planning a novel (on which I am already working) and book for children and dog lovers. Maybe I will write a book on “Teaching Stories” and Wisdom and Philosophy through Humor. I also want to publish an anthology featuring a collection of my short stories written by me over the past 20 years in various magazines and in my creative writing blog and another anthology of my philosophical musings and self help articles. I will continue to write short stories, philosophical musings, food and travel writing and self help articles and continue to blog actively. 10. How was it working with CinnamonTeal Publishing? Appetite for a Stroll is a well designed and attractively packaged book which makes an easy read and has been liked by readers. The quality of publishing is really good. I wish the book had been advertised, publicized, and marketed well and displayed in prominent bookstores and bookstalls at airports and railway stations and was easily available to readers. Appetite for a Stroll is only available online. Most readers prefer to browse and buy books in bookstores or bookstalls rather than online. U. A. Kiran was born in Cannanore in Kerala, India. From Kerala, he came to Howrah in West Bengal to learn Bengali, Hindi and finally English which became the medium of expression and the language of his creativity. Having completed his Diploma in Management in West Bengal he worked in Andhra Pradesh for some time. It was not until late that the writing bug bit him. Currently he resides in Goa. The author likes writing poems, stories, novelettes/novels, dialogues/dramas, chalk-shaping, making puzzles. He has a passion for instrumental music and loves travelling. U. A. Kiran is the author of The Alpha and The Omega and Other Stories and Beginner’s English Grammar. 1) Can you tell us what your latest book, Lost Smiles, is all about? In the book ‘Lost Smiles’, I have brought together various natures, relationships and moods of people around us and the usual and unusual situations in human life. ‘My Tummy’ and ‘My Figure, My Problem’ would tickle your funny bones till the end. 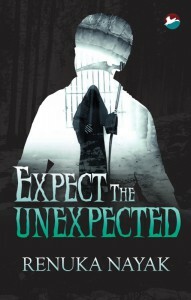 Some stories, like ‘Fear of Defeat’ and Beauty at the Window’, have the pinch of suspense which you would find enjoyable. ‘The Wood’ and The Last Train’ would terrify you, while romantic airs are spread all over ‘The First Kiss’ and The Casket’. Sometimes, you would feel whether such an incident could really happen. While writing this book, I have kept in mind to entertain the reader with plenty of imaginable and unimaginable characters and their affairs. 2) What inspired the stories behind Lost Smiles? I’m a keen observer and like to write about things that I think need remembering—things that stimulate an emotional response; be it suspense, fear, pleasure. So it was obvious that Lost Smiles was inspired by the characters around me. 3) When did you first see yourself as a writer? 4) Tell us why readers will enjoy your new release. Each character in the book has a different story to tell. And since the characters in the book are inspired by the people around me it would make for enjoyable reading for the readers. Besides, the human emotions that pop up every time you turn the page will keep the reader engrossed every time he flips a page.